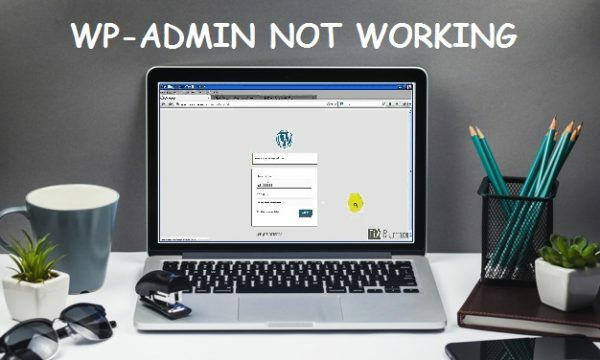 How to solve 'WP-Admin not working' issue on Wordpress? Almost every WordPress user have faced wp-admin not working issue on their website. In this issue of WordPress, users can’t access their account and unable to login to their WordPress admin area. Login problems can be caused by different errors, such as error establishing database connection error and internal server error. If you’re a familiar, you have to do a backup of your website. Lots of people do changes on their website without creating a backup and get troubled in last. There are lots of chances that your plugins are responsible for your error. Sometimes WordPress plugins can cause this problem especially when two plugins are in conflict. To fix this issue, Try to disable all your plugins by moving or deleting them from your /wp-content/plugins/ folder. Rename /wp-content/plugins/ folder to plugins_backup. This will deactivate all WordPress plugins installed on your website. WordPress uses login authentication cookies, so the first step to fixing WordPress login problems is the simplest. Clean your cache and browser cookies. Make sure your browser has enabled cookies. After rebooting your browser and try logging in. This should solve the problem for most people. In some cases, the site URL seems to fix the problem. To do this, you must log in with FTP to your site and edit the wp-config.php file. Just add these two code lines to your wp-config.php file and don’t forget to replace the .com example with your own URL. If your site has www, too. Make sure you add that, then. Save changes, and hopefully, that’ll fix the wp-admin not working issue. Pro Tip:- Some users also say that this happened when they installed wpcareer plugin that requested to root access their site. so you can go to your c-panel where your site is hosted and deleted that plugin. Pingback: How to Solve “Failed to Send Your Message” Error in Contact Form 7?